Friday night I had an amazing opportunity. 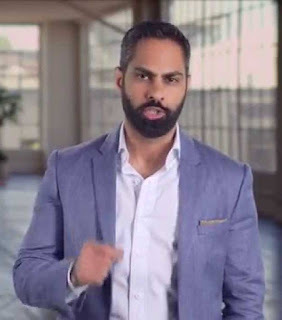 My favorite business guru Ramit Sethi was in town and invited his Portland students and subscribers to hang out with his team for happy hour. I have been following Ramit for at least a year and am very impressed with the content he puts out. He has expanded my thinking on business and I couldn't miss an opportunity to meet him. Think quick, how many people might be there? 50? 100? How could I distinguish myself from the crowd and make an impression? 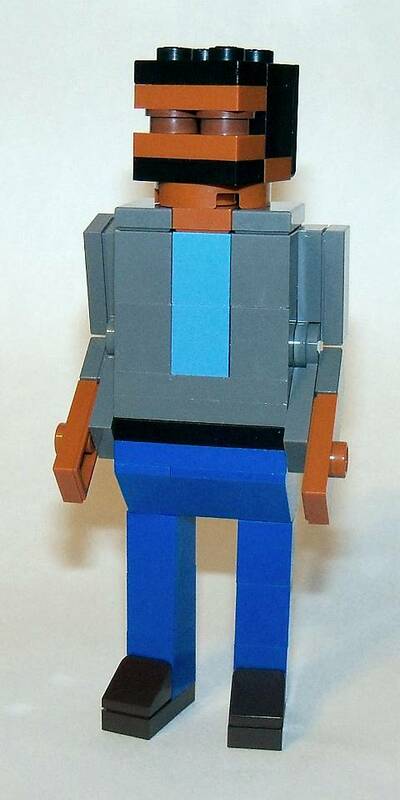 LEGO Ramit! About an hour before leaving I whipped together a Miniland scale model of Ramit to present to him when I had the opportunity to shake his hand. At some point I did have the opportunity to meet him as he was working the room to greet everyone. He's just as genuine and chill as he is on the internet. We talked for a couple of minutes about why I was there and what I do when I presented him my thank you gift for all the great content he and his team put together. While I cobbled a nice outfit together based off of a couple of web images, the crazy thing is that it matched what Ramit was wearing that night, right down to the gold bracelet. That was a last minute addition before I left the house, after I took the photo below. Ramit told me he hates LEGO. Why? Because as an Indian child his parents were always buying him engineering type toys and he was never big on puzzles and the like. When I read about the amount of time and energy that have gone into creating his courses, I don't believe that. Maybe he just doesn't like physical puzzles. But much like his polished emails and courses, he appreciated the LEGO model I presented him because it shows what can be done with all those fiddly bits. The food was great, the drinks were perfect and the social equity Ramit invested in was astronomical. I have always intended to join one of his courses as soon as I am able; now there is no hesitation that I will do so. Thanks Ramit for a great evening!